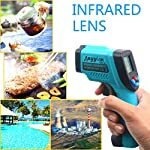 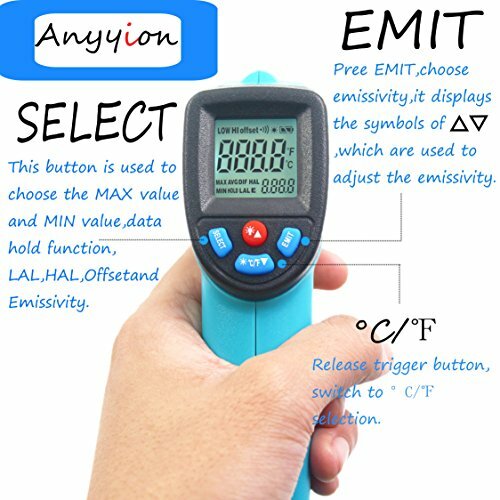 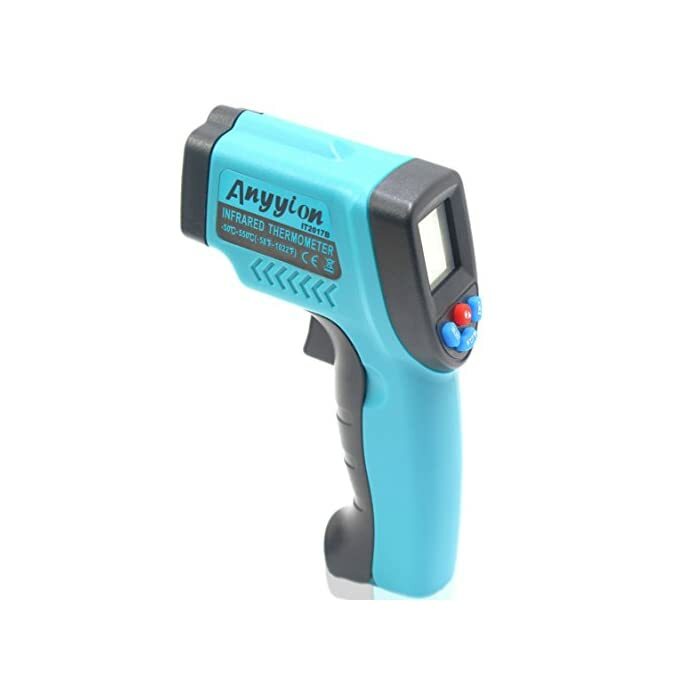 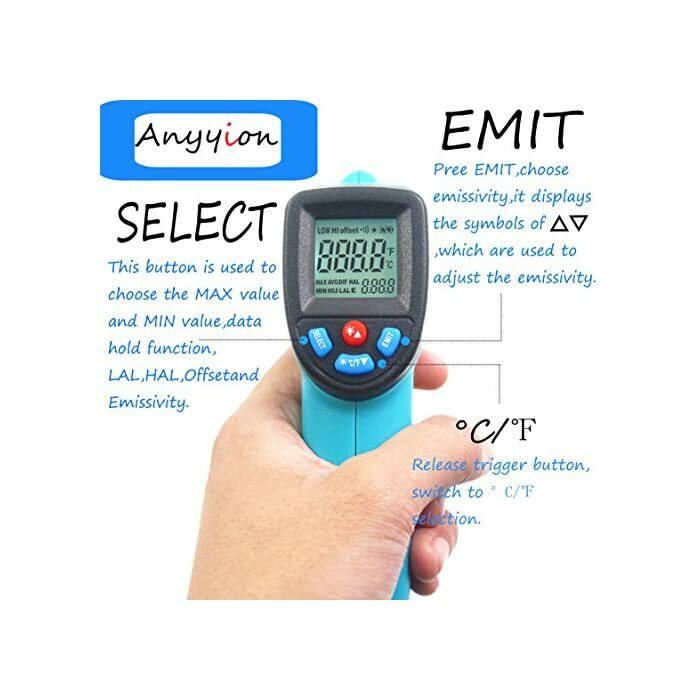 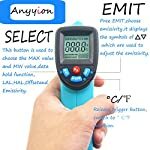 Infrared Thermometer Gun, Anyyion Non-contact Laser IR Digital Thermometer Gun,-50°C to +550°C / -58℉～1022℉ with Memory Function ,Blue and Black | PHDsmart Ltd.
【Versatile Usages】Cooking,barbequing & baking,automotive diagnostics, electrical troubleshooting,HVAC checking and widely applicable for indoor and outdoor use, various hot surface, hard-to-reach objects without direct touch. 【Built-in Laser for Precisely Aiming】Operates on a 12 to 1 ratio ,accuracy +/- 2% on 95 emissive surfaces. 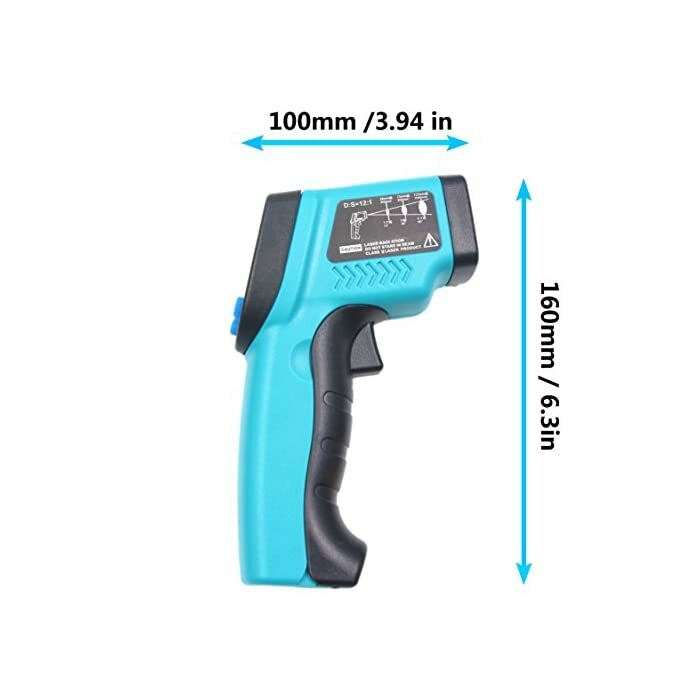 Response time of 500ms, a built in laser gives you the precision to hone in on the exact space you want to measure; FDA, FCC, CE, ROHS approved. 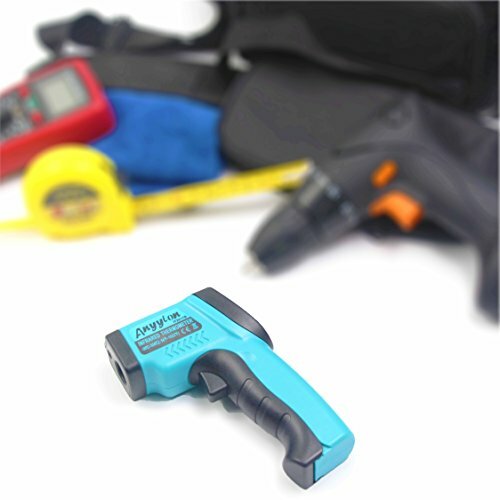 Auto Shut-off & Data Hold Function & Low Battery Indicator & Backlight Display Selection. 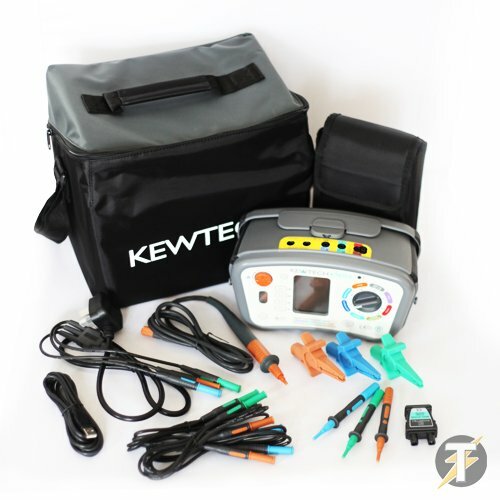 low alarm settings of the instrument can be accessed. 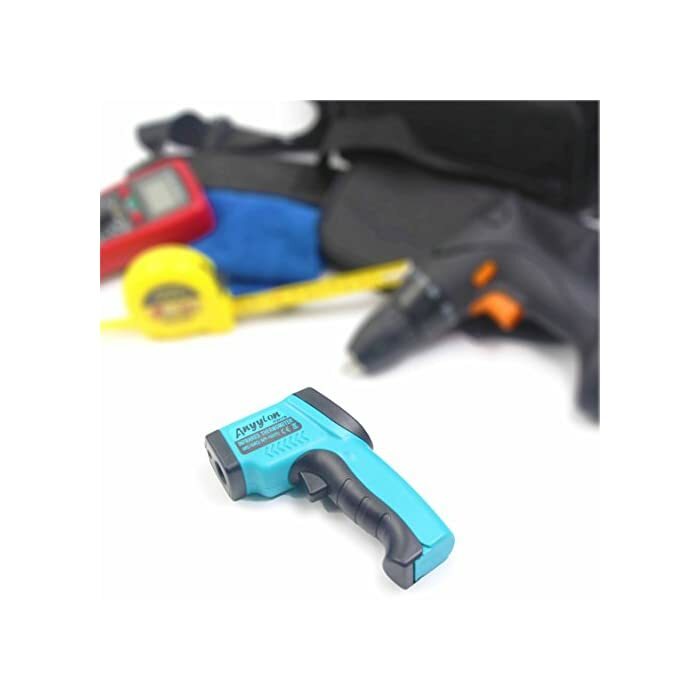 The compact design and the ergonomic handle make this product easy to store and use on-the-go. 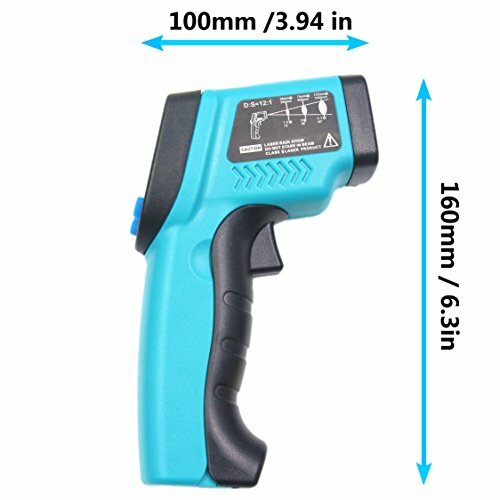 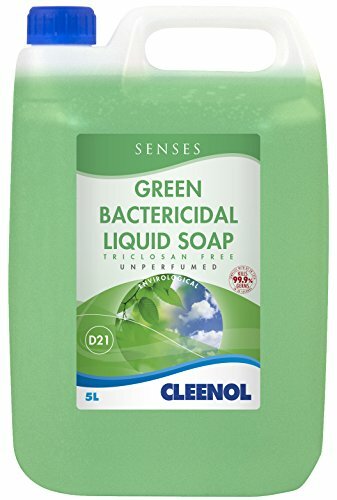 It is so simple and convenient to use. Just point, aim, then measure. 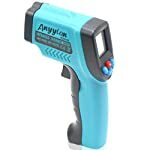 Notice: This item is NOT designed for body temperature measurement. 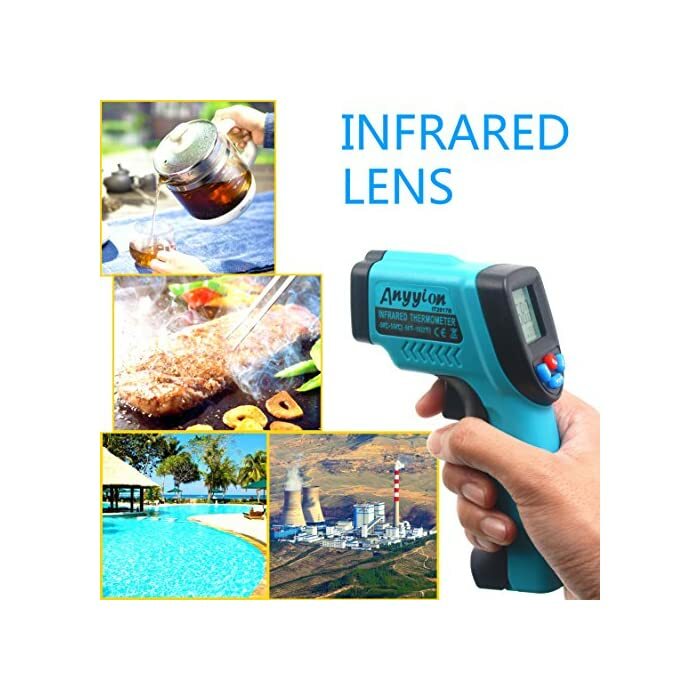 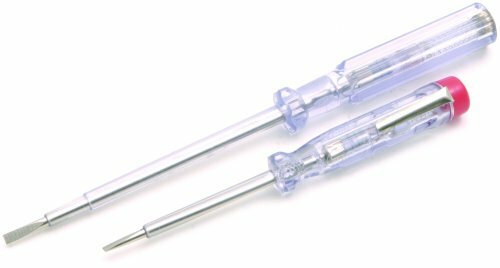 measurement range that surpasses boiling points, the possibilities are endless. 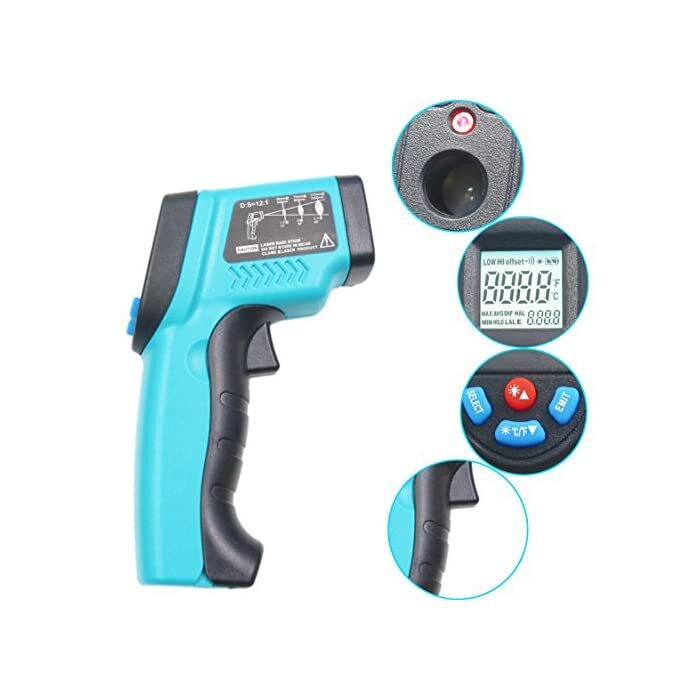 【Easy to Use】The LCD screen is backlit,very comfortable work in the dimly lit areas, also has an Auto-Off function to extend the battery life, auto shut off after 7 seconds of non-operation. 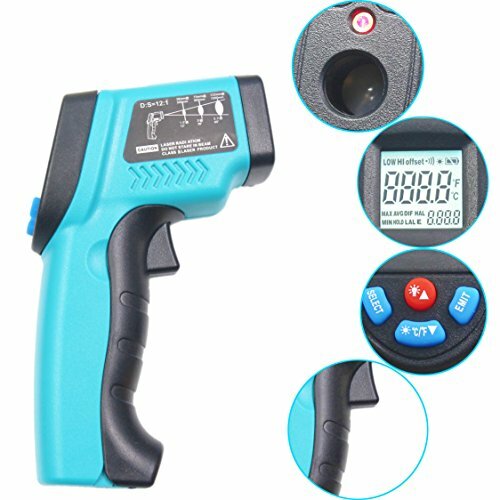 【What You Get】1 x IT2017B laser infrared thermometer, 2 x batteries, 1 x user manual.